I reviewed this on my Goodreads account but I think it bears repeating here. Such a compelling work! 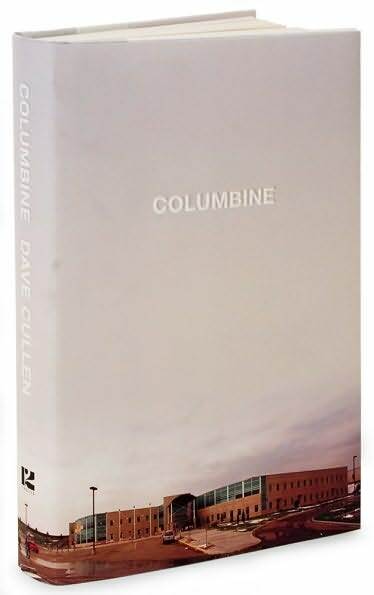 Dave Cullen’s thoroughly researched and evenhanded account of the 1999 Columbine High massacre is a superior work of non-fiction. Published to coincide with Columbine’s ten-year anniversary and drawing on his six-year old Salon piece “The Depressive and the Psychopath,” Cullen weaves together the riveting details of the events surrounding the killings. His telling of the story is decidedly non-linear, and creates a roller coaster-style narrative from the beginning. Just as we settle into a section describing the lives and motivations of the Columbine community, Cullen jerks us back into the world of Dylan Klebold and Eric Harris– forcing readers to confront the fact that no “outsider” committed these crimes. Cullen’s triumph may be in the quiet, matter-of-fact way he debunks the commonly held myths about the events. He cites a wide variety of sources to show readers things like Klebold’s hidden, unrequited loves and the girl in the library who professed her faith in God (not Cassie Bernall, as was widely attributed, but Val Schnurr– who lived to feel guilty about telling the tale). Perhaps the most pervasive myth Cullen shatters is the conception that these killings occurred through a lack of empathy, of bullying gone overboard. It’s very difficult to read the psychiatric analysis of Eric Harris and to understand that his grandiosity and rage was merely symptomatic of a psychopath– that no loving care could have soothed him because he was detached from the normal range of human emotion. Readers may not be reassured by Columbine, nor filled with hope or optimism. A quiet sense of loss pervades its pages. Cullen tells the story that begs to be told in its entirety both dispassionately and honestly; who of us could ask for more? ← Relax. It’s just a book.